2017 has been an incredibly exciting and prosperous year for the Pro Productions team and we look forward to building on this success into the New Year. Alongside the launch of our new website, we have had the fantastic privilege to have worked with over 80 festivals throughout 2017 which has been a brilliant achievement for the whole team. 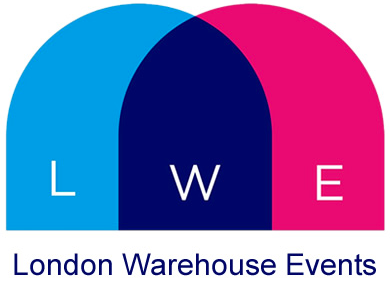 London Warehouse Events is Londons biggest underground event organisers, holding parties in unique and unusual locations across the capital. LWE are exclusive music promoters at tobacco dock. Pro Productions has been working alongside them over the past few years and we are extremely proud to have supplied our equipment to every single event. It has been an incredibly busy year for both Pro Productions and LWE and we were thrilled to have been involved in the creation of some truly awe-inspiring and unique events! We look forward to continuing the partnership in 2018. Sporting highlights this year have included several large-scale events such as Badminton Horse Trials, Silverstone Moto GP and Moto Cross World Championships. We also loved working at Bournemouth 7’s, a very lively event where the atmosphere was fantastic! Not only have we been lucky enough to help with the success of some major sporting events, we have also had a lot of fun along the way working alongside some incredible music festivals including Wilderness, Lovebox, Secret Garden Party, Westfest, Junction 2 and Elrow. The success of 2017 is testament to the relentless efforts of the team and we are so proud to have partnered with some of the most iconic and prestigious events in the country. Bring on 2018!